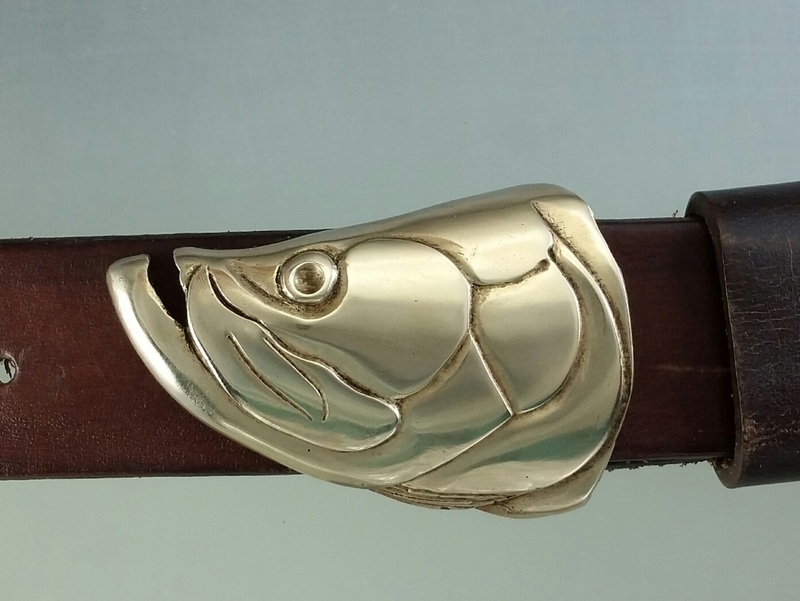 The Tarpon buckles in bronze are finished with a natural patina and a bright satin brushed finish and waxed to protect the patina. Fits 1.25 belt. 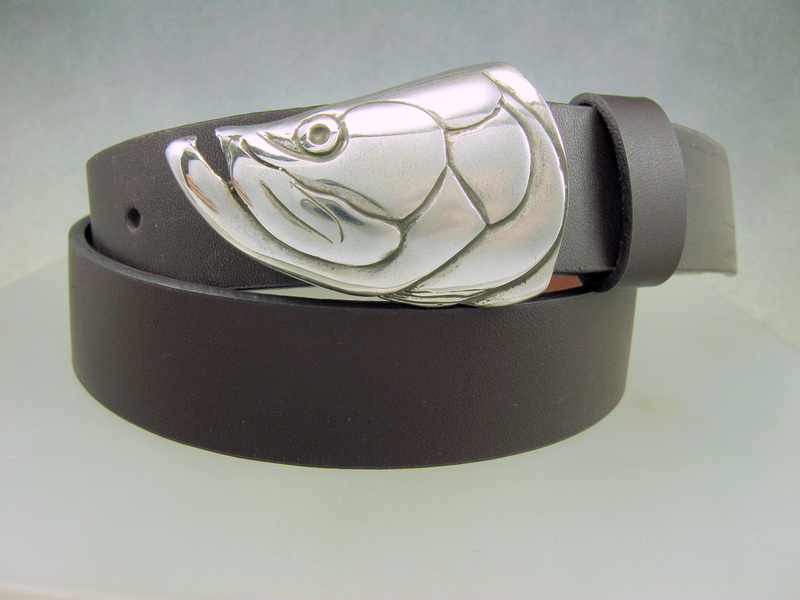 Each buckle comes out a little different but the colors are a natural bronze color with darker brown in the recesses,.